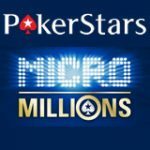 PokerStars are proud to announce their Million Dollar Men: Dennis Phillips, Ivan Demidov, Peter Eastgate, Ylon Schwartz, Darus Suharto and David ‘Chino’ Rheem. Earn your share of more than $360,000 in cash prizes for Free. 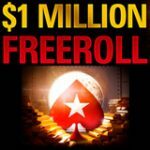 There is more than $360,000 in cash prizes in the new PokerStars MDM Freerolls. 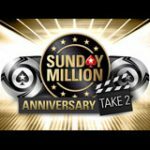 Enter for free and play in PokerStars daily Round 1 freerolls taking place from 28th September till 17th October, and you could be up against the Million Dollar Men in the final, playing for a large $100,000 as first prize. Earn your winnings like the Million Dollar Men earn at the World Series in November, and a chance to win $600,000 worth of prize pools in PokerStars Win a Share tournaments. 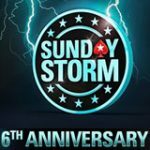 PokerStars are running a tournament every Sunday at 16:00 ET from the 5th October which continues six weeks. 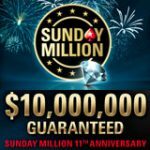 With a $100,000 prize pool, and top 100 finishers earning a 0.01% share in the winnings of one of the Million Dollar Men. Every tournament corresponds to one of the Million Dollar Men and placing in the top 100 gets you a share in that particular player. Enter all of the tournaments to increase your chance of winning big. Buy in from 500 Frequent Player Points (FPP) for your tournament seat. 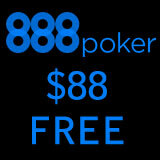 Depositing as a new player with PokerStars code MDM gets you a free ticket to enter. Satellites are available for both 10 FPP and 50 FPP. The Million Dollar Men have knocked out more than 6,800 players and are very tough competition. 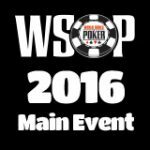 This is the best way to test your skills to see how you would cope at a real WSOP event. There is so much at stake for you to win huge cash prizes, bounties and the right to brag forever.